The 11th edition of the Brisbane International marks 10 years since it made its debut on the WTA Tour back in 2009. Photos: Top (Brisbane International) and bottom (Tennis Venues Australia). The 2019 season is upon us as players head down under for the Australian summer and the opening leg of the season, with the first Grand Slam of the year, the Australian Open, less than a month away. 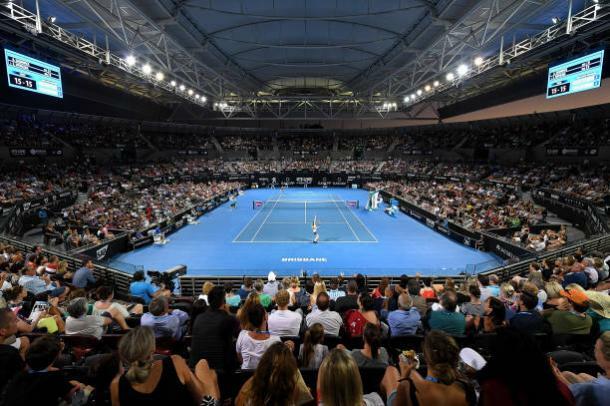 The first Premier tournament of the year, the Brisbane International, sees Queensland’s capital host the first of four tournaments in Australia, in the lead-up to the Australian Open. The tennis season of 2019 kicks off with tournaments in three different cities in the opening week of the year. The Brisbane International, ten years since its inception back in 2009, will witness six of the world’s top-10 contingent descend upon Queensland, The Sunshine State, for the first week of the new season. The 11th edition of the tournament will see the defending champion, Elina Svitolina, return. Also present are Naomi Osaka, Sloane Stephens, and Petra Kvitova, as well as Aussie Samantha Stosur, for a total of four Grand Slam champions. Svitolina and Kvitova, who won in 2011, are two of three past champions in this year’s tournament, the other being 2017 champion Karolina Pliskova. It was a decade ago, the 2009 season when the WTA’s new Roadmap calendar came into being. Among the reforms it brought to the tour is the abolition of the Tier system of tournaments, with it being replaced by a new classification of tournaments into Premier (four of which are Premier Mandatory and another five as Premier 5s) and International categories, in addition to the already-existing Grand Slams and WTA Tour Championships (today WTA Finals), as well as the inception of a new second-tier year-end championship, the WTA Tournament of Champions (today replaced by WTA Elite Trophy). 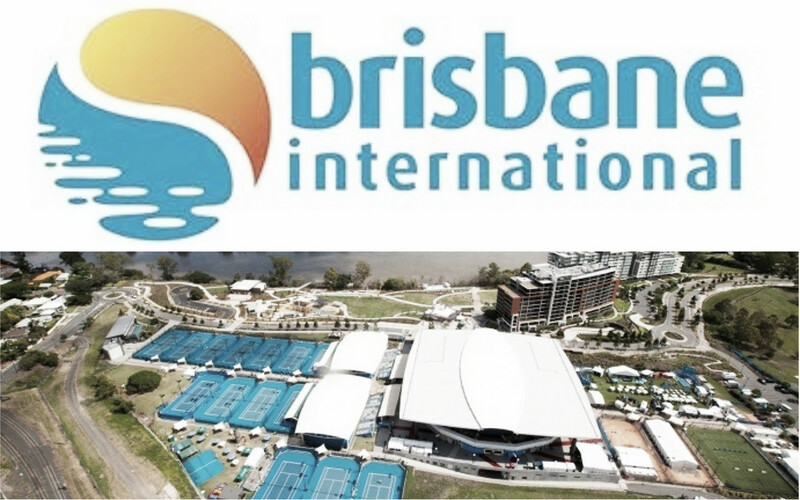 The Brisbane International, which started as an International tournament, was placed in the opening week of the 2009 season, and has been a fixture there since. It was then upgraded to Premier status in 2012. In its first three years as an International event, Queensland’s capital saw the likes of then-future Grand Slam winners Victoria Azarenka and Kvitova take home the title, in 2009 and 2011, respectively. Former world number one Kim Clijsters won in 2010, in an all-Belgian final against Justine Henin. In its debut year as a Premier tournament, surprise winner Kaia Kanepi lifted her first Premier title. Serena Williams followed up with back-to-back wins in 2013 and 2014 before Maria Sharapova claimed the title in 2015, beating Ana Ivanovic in a three-set final thriller. Azarenka reclaimed the title in 2016, with Pliskova and Svitolina emerging champions last two seasons. The draw format of the tournament sees its top two seeds, Svitolina and Osaka, given byes into the second round. Interior of Pat Rafter Arena, the main court of the Queensland Tennis Centre, during last year's women's final. Photo: Bradley Kanaris/Getty Images. The Queensland Tennis Centre plays host to the tournament. Located in the Tennyson suburb of the city, on King Arthur Terrace along the eastern bank of the Brisbane River, on the spot where the Tennyson Power Station once stood, the facility is home to Pat Rafter Arena, its centre court, named after the former world number one and double US Open champion. Top seed and defending champion Elina Svitolina headlines the field of this year's tournament. Photo: Fred Lee/Getty Images. Top seed and defending champion Svitolina opens the draw, with an opening-round bye, and her first match of the week could be a repeat of last year’s final, and that is if Aliaksandra Sasnovich wins her opener - where she drew a qualifier. Sixth seed Kiki Bertens, who takes on Belgium’s Elise Mertens in the first round, is on a collision course with Svitolina. Should Bertens make it past the Belgian, one of Donna Vekic or Magdalena Rybarikova looms next. Pliskova has made the semifinals or better in her last two visits to Brisbane. Photo: Fred Lee/Getty Images. Third seed Stephens got the short straw, the American landing an opening-round opponent in former top four player Johanna Konta. It does not get any easier for her as one of big-hitters Katerina Siniakova and Ajla Tomljanovic lurk as her next opponent. 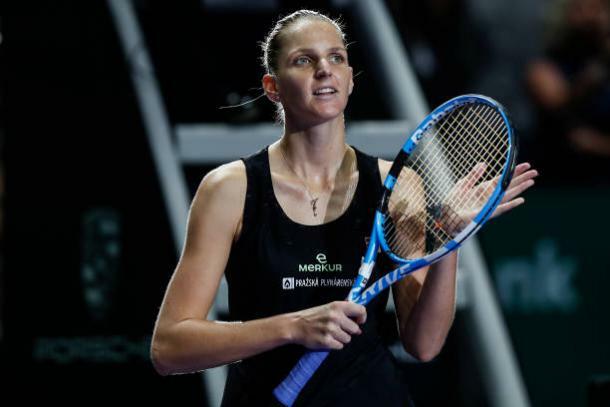 On the other hand, Pliskova was handed a more manageable draw, against Yulia Putintseva in the first round, and one of Stosur or a qualifier standing in her way from the last eight. Kontaveit will seek to do some damage in the draw in Brisbane this year. Photo: Maddie Meyer/Getty Images. Kvitova, seeded fourth, and due for her first appearance here since 2013 faces American Danielle Collins at the first hurdle, with one of Anett Kontaveit or Carla Suárez Navarro looming as a dangerous opponent for the former champion in the next round. Across the quarter, seventh-seeded Daria Kasatkina drew local wildcard Kimberly Birrell, while Mihaela Buzarnescu and Lesia Tsurenko face off in their opening-round clash. Sevastova made it all the way to the last four in her Brisbane debut last year. Photo: Fred Lee/Getty Images. 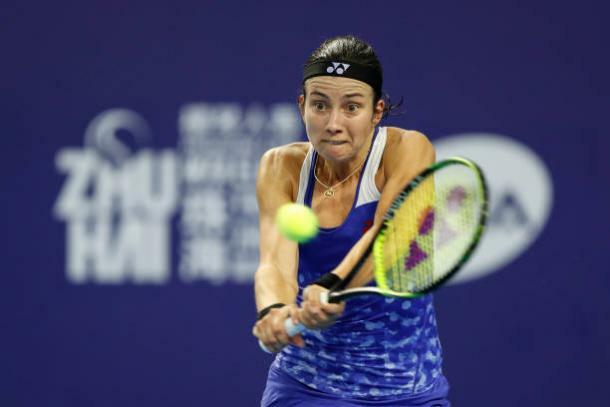 In the only quarter with more than one qualifier placed, Latvia’s Anastasija Sevastova, the eighth seed, takes on top-ranked Aussie Daria Gavrilova, the winner due to the face the winner of the other opening-round clash between wildcard Priscilla Hon and a qualifier. Meanwhile, second seed Osaka bookends the draw, the Japanese player being handed a bye into the second round, with one of Kristina Mladenovic or a qualifier as her first opponent of the week.